Carpentry is a word historically associated with woodworking. In 2016 building materials are diverse and plentiful. While much of a home is still comprised of wood, many components include vinyl, pvc, laminates, composites and so much more. Alternative building materials include beneficial characteristics such as longer lifecycles, energy efficiency, resistance to insect damage, and less frequent maintenance. However, new materials also require the skills of expert carpenters familiar with the characteristics and nature of each material. Our carpentry expertise spans materials, and the specific requirements to work, successfully, with each. Some materials require specific fasteners, while others must be cut with particular blades. Some wood alternatives come with special installation requirements, or are “fused” with special adhesives. 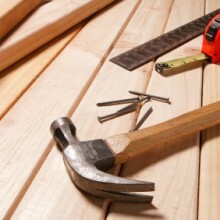 Our carpentry services repair, replace and rebuild many things in your home. Scroll down to see a short list of carpentry services. Like crown molding, the addition of wainscoting immediately adds architectural interest to your home. Crown molding styles, like wainscoting styles, run the gambit from simple to over the top! Simple white bead board creates a crisp, folksy, cape cod or bungalow appearance. Bead board, stained to feature the wood grain, creates the feeling of an historical space. Whatever style you choose for your space, expert carpentry skills for installation, proper preparation for your choice of finish (paint or stain) are required. For the best professional result, the proportions must be right for your space. Considerations include the ceiling height, finish choices, and the visual mass created by the surrounding trim. If you love the look of wainscoting but don’t want to commit to a whole room, think about areas less visually celebrated. Even in hallways, or stairwells, expertly installed and finished wainscoting and trim ensure memorable passage from one space to the next enjoyable space. 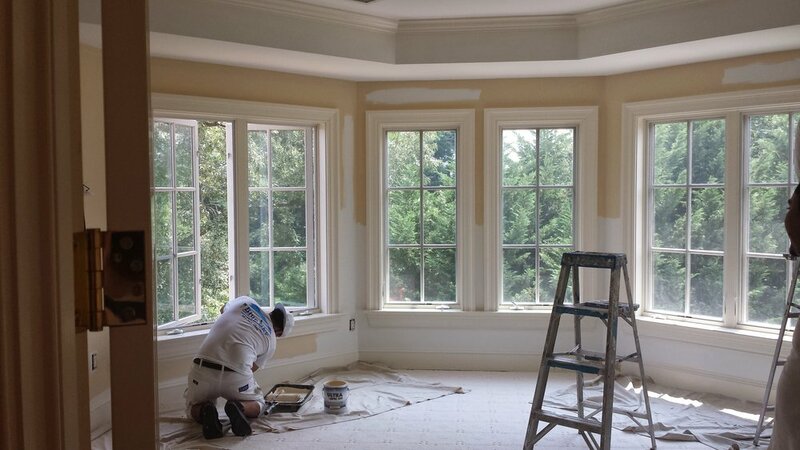 Adding architectural features like trim, wainscoting, and crown molding to your home or office enhances your living experience and provides a terrific return on your investment. Trim, including crown molding, creates instant architectural features in any space. Simple and elegant installation of trim as a chair rail, and as recessed panels has a transformative effect. Montgomery County – 2016 Best of List – Voted by residents. Even a table can take on a whole new look with professional care.